Luke Williams and Butch Miller are one of the most versatile and successful tag-teams in professional wrestling. 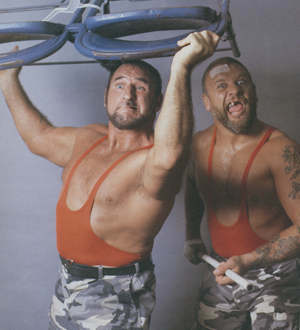 They achieved their greatest fame wrestling as the loveable and outrageous Bushwhackers. Their antics entertained millions and they capitalized on that success to make appearances on several television shows, including the highly rated "Family Matters."